Neutral detergent for both pretreatment and manual washing used surgical and medical instruments with the combined strength of protease and surfactants. 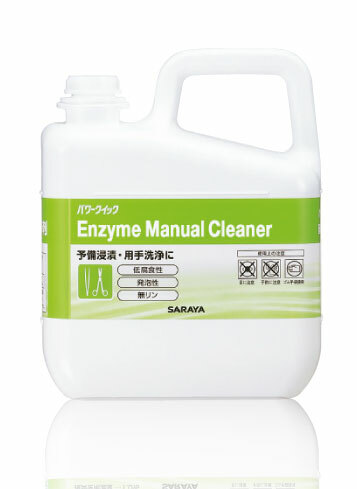 • Significant enzymatic stability to maintain cleaning power for long wash periods. How to use : Prepare 1% solution in warmwater, soak contaminated instruments for 10 min. then rinse thoroughly with rinning water.